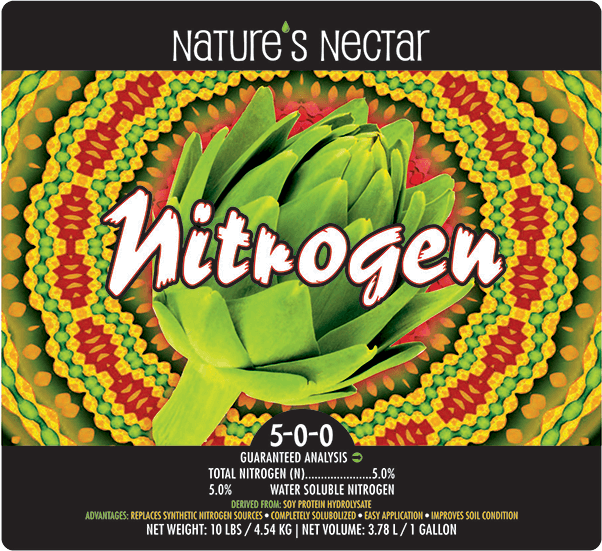 Nature’s Nectar Nitrogen is certified organic, contains no sediment and has been manufactured so all nutrients are instantly available to your plant. Nature’s Nectar Nitrogen can be used in conjunction with the full Nature’s Nectar line for a complete feeding program or as a standalone nitrogen supplement. Nature’s Nectar: for exceptional growth, quality and yield. Vegetative stage and General Purpose: Use at a rate of 2ml per litre (1.6tsp per gallon) of water once per week or with every feeding. Flowering Stage and Heavy Fruiting: Use at a rate of 4ml per litre (3.2tsp per gallon) of water once per week or with every feeding. Vegetative stage and General Purpose: Use at a rate of 2ml per litre (1.6tsp per gallon) of water twice per week. Flowering Stage and Heavy Fruiting: Use at a rate of 4ml per litre (3.2tsp per gallon) of water twice per week. Foliar Application: To green plant leaves, use at a rate of 1ml per litre (0.8tsp per gallon) of water and mist leaves once per week. 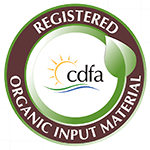 Organic Use: Natures Nectar Nitrogen 5-0-0 is approved for organic use by the California State department of agriculture (CDFA OIM).